Building on Animating Democracy’s 2010 Trend or Tipping Point report, Corporate Social Responsibility & the Arts offers insight into how corporations and corporate foundations engage arts and culture to achieve their corporate social responsibility (CSR) and/or corporate community involvement (CCI) goals. It repre­sents one facet of an updated look at private sector support of arts, community, civic and social change in the U.S. that Animating Democracy will release in 2015. The report’s key themes and observations are based upon information gathered from interviews with 16 corporate leaders from companies including American Express, Boeing, Aetna, the Adobe Foundation, and Microsoft, among others. It includes in-depth snapshots of several companies, including StubHub, Applied Materials, Time Warner Inc., and the Deutsche Bank Americas Foundation. 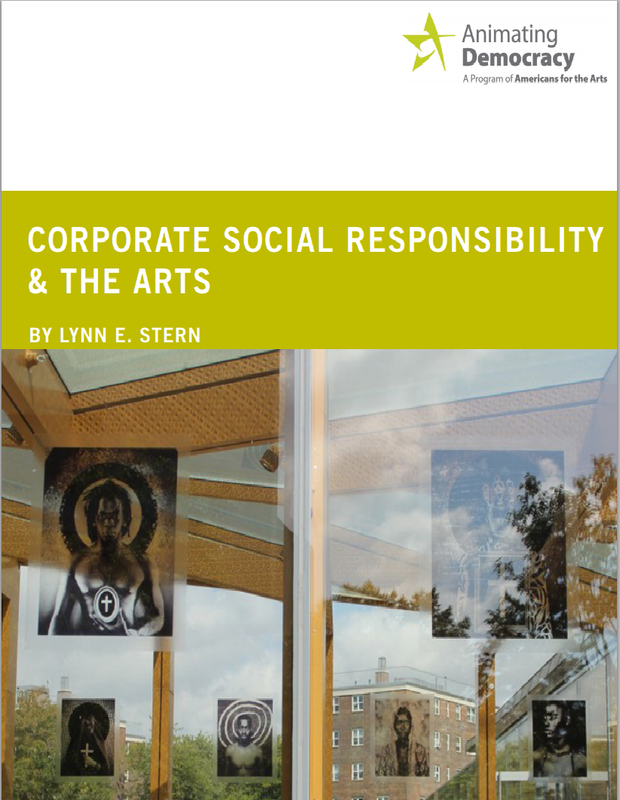 Corporate Social Responsibility and the Arts reveals that there is significant room to grow joint efforts that tap the unique capacities of arts and culture towards CSR goals, and leverage funding and other assets of corporations toward achieving shared goals. The pARTnership Movement, a campaign of Americans for the Arts designed to reach business leaders with the message that partnering with the arts can build their competitive advantage, has teamed up with Animating Democracy to release a tool-kit,Corporate Social Responsibility and the Arts: Partnering with Business to Enact Social Change. 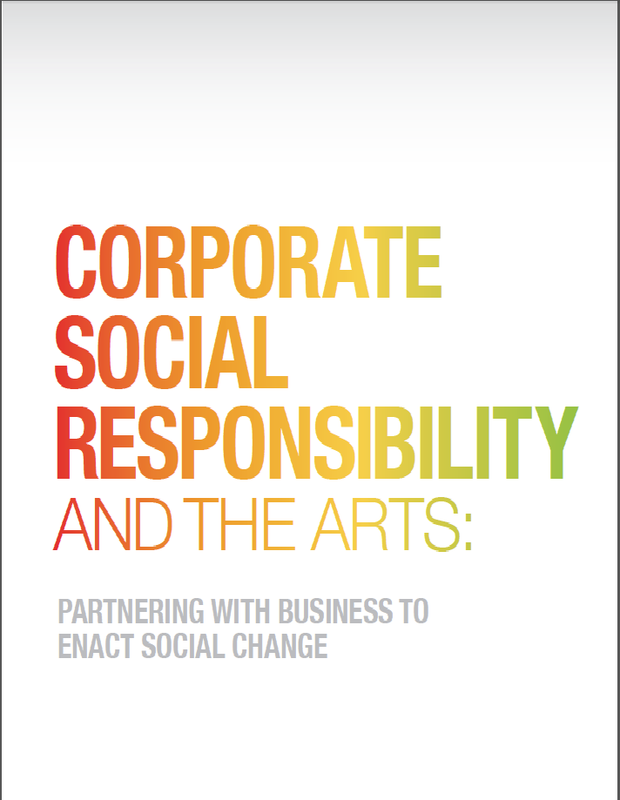 The tool-kit was created to highlight key elements of the Corporate Social Responsibility and the Arts report. The tool-kit is a companion piece designed to assist arts groups in distilling the information in the report and replicating example partnerships in their own communities. We hope it will inspire you to foster mutually beneficial arts and business pARTnerships in your own community! For the best results, open the report in Internet Explorer or Chrome. In October 2014, Animating Democracy presented a webinar with Emma Leggat, Head of Corporate Social Responsibility at StubHub, and Lynn Stern, author of the Corporate Social Responsibility & the Arts report. Watch the webinar on-demand to tap into the CSR landscape in another dynamic way! To continue the CSR and the Arts conversation, Animating Democracy and The pARTnership Movement hosted a blog salon on the topic during the week of April 27-May 1, 2015 on the ARTSblog. Over the course of the week, business, community, and arts leaders from around the country weighed in on the topic. Read the full salon here!